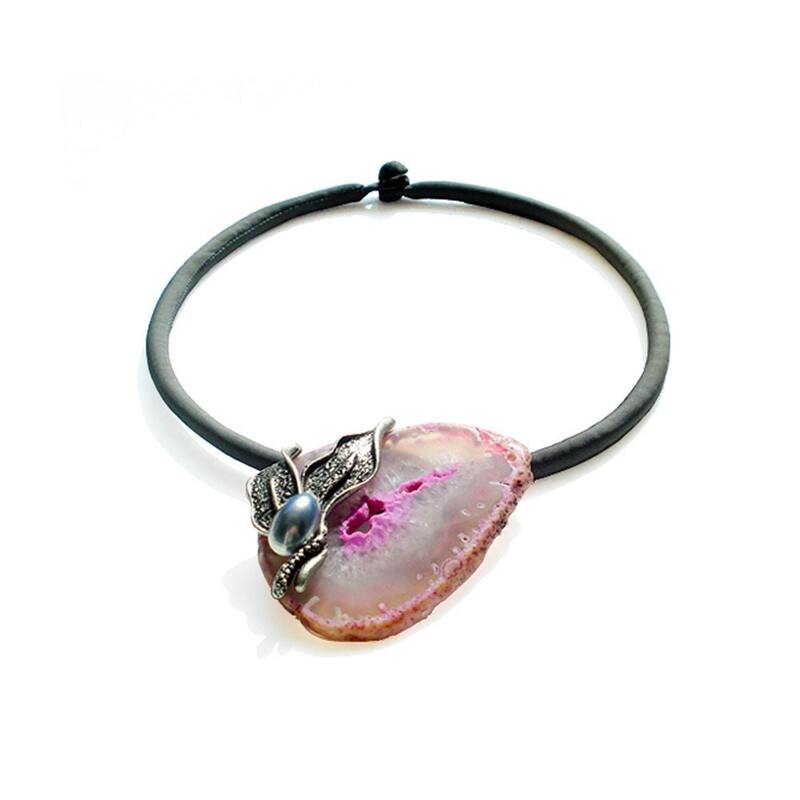 This chic and tasteful necklace & brooch convertible is great gift for someone close to you who deserve much more than ordinary present…including yourself! 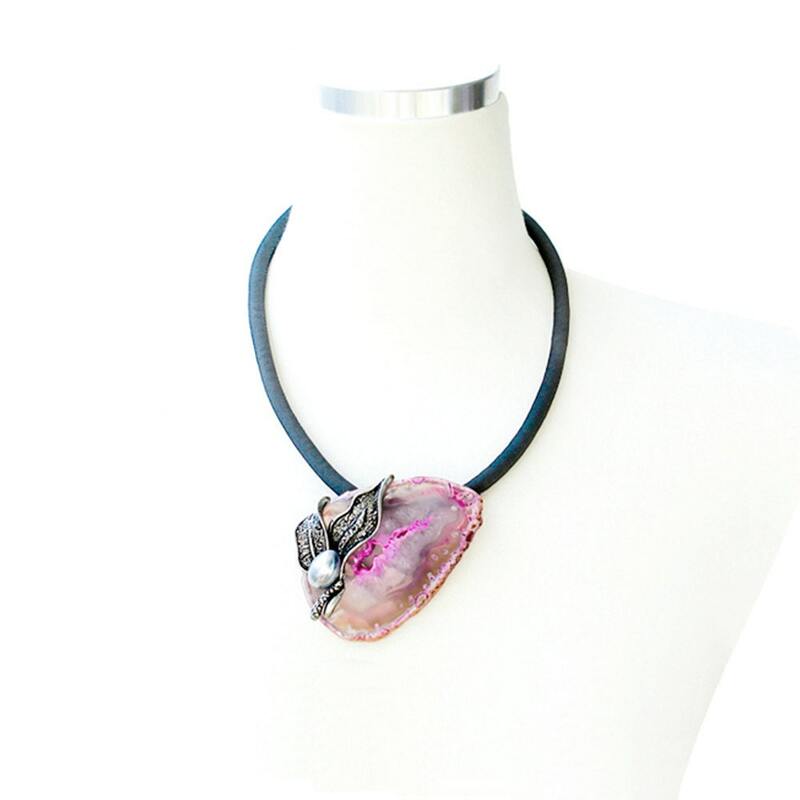 This Gray Silk Fabric Covered necklace has Fushia Agate Brooch with Pearl accent. 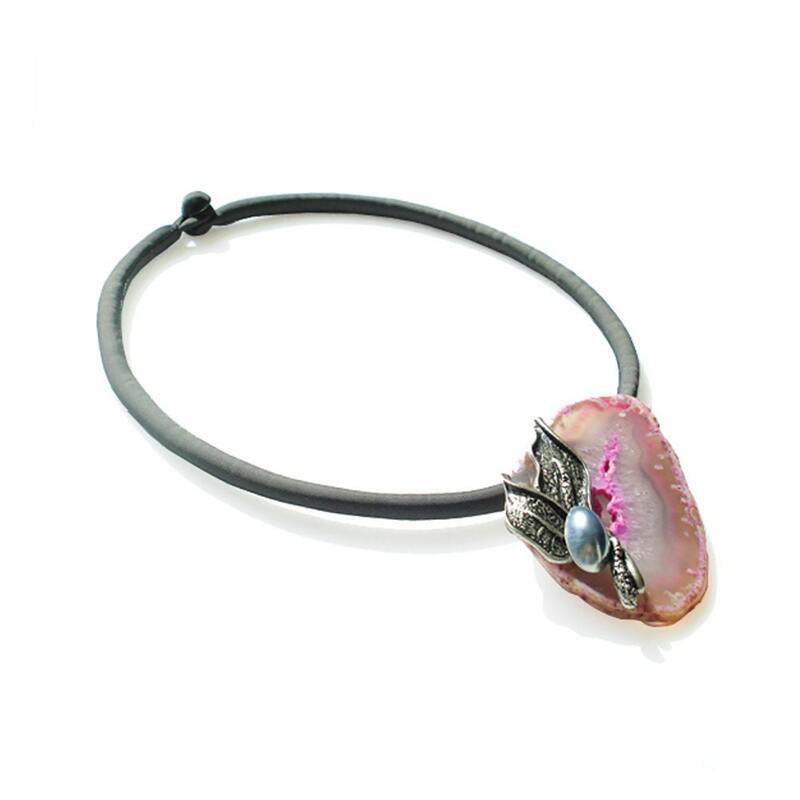 Fushia Agate with Pearl accent piece is designed to be worn as Necklace Pendant and Brooch convertible to your need. 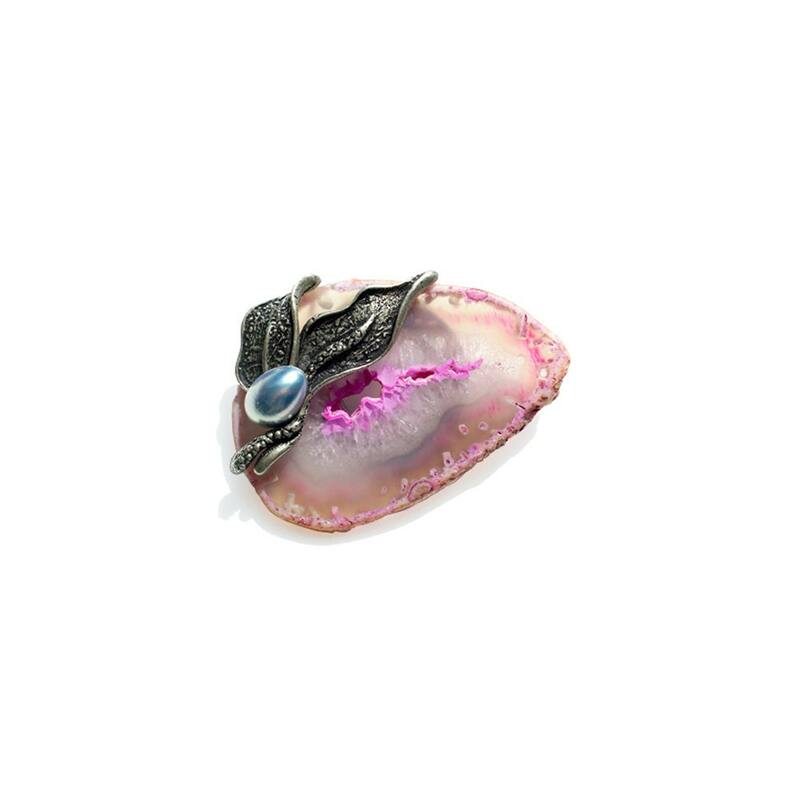 Use it as a Brooch when you wish and slip back to Silk Fabric Covered Necklace when you want to wear it as Necklace. Complete with self Fabric Covered Button and Loop closure. 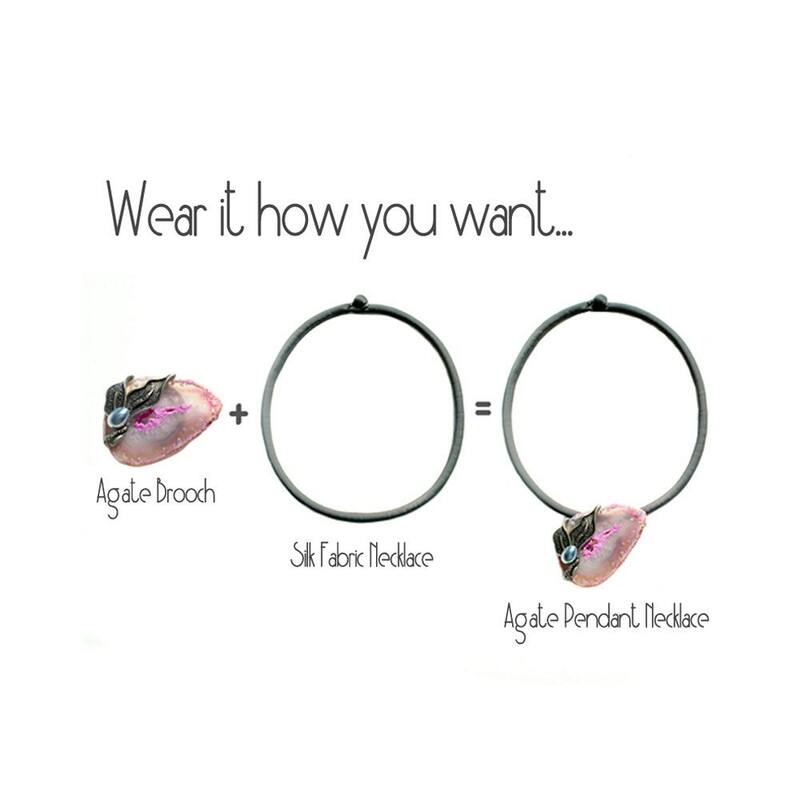 If you like, you can always pull out beads easily and hand wash the Silk Necklace in cold water with mild detergent.